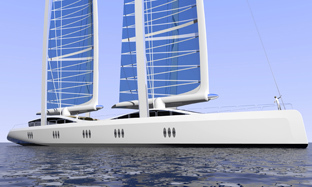 The Green Jet designed by Erik Sifrer of Mides Design is a luxury yacht with all the expected appointments, technology, quality materials but with a environmentally friendly primary power source - wind. 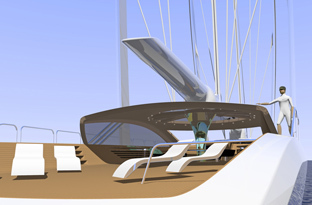 The fluid, wavelike design of the upper deck is split into two sections. 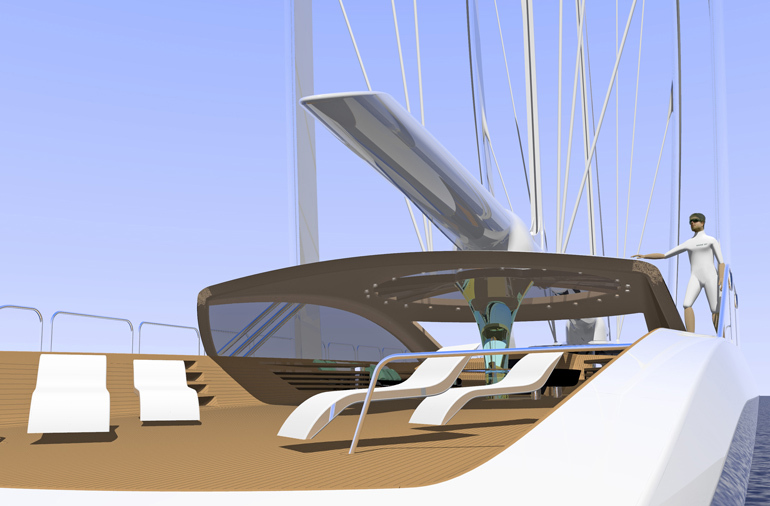 The forward area and pilot house is for the crew, while the midsection and rear are for the owner and guests. 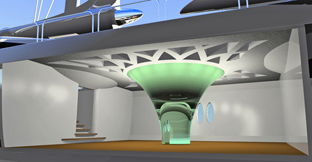 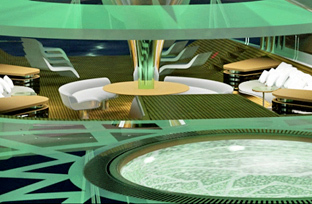 The central gyroscope-mounted Jacuzzi pool acts as a visible divider between the two areas. 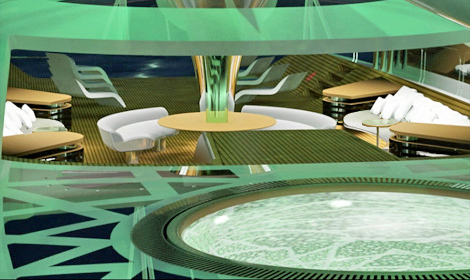 The pool is also designed to create a connection between air and water outside, and help form a fountain-sculpture inside. Around the pool is a lattice work of skylight windows to allow light into the large main salon of the Green Jet. 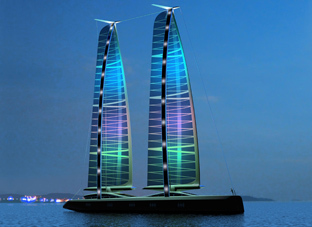 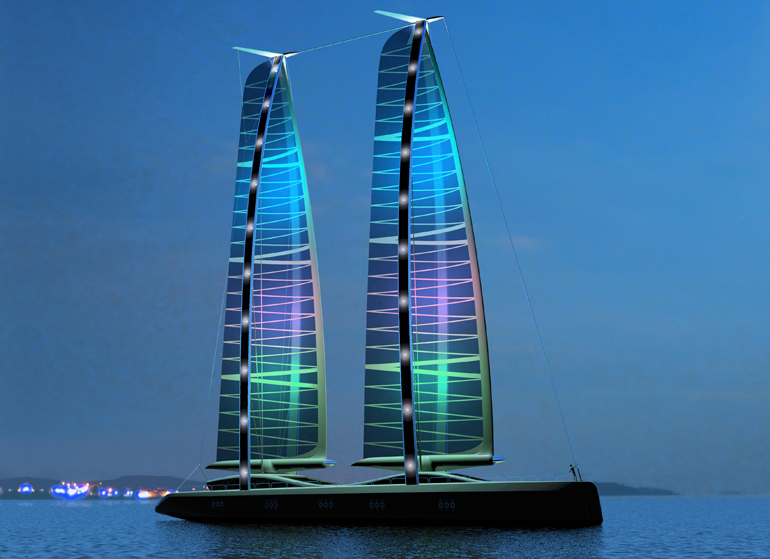 For main propulsion there are two fully automated and computer controlled 62m high Aero sails guided by hydraulic motors. 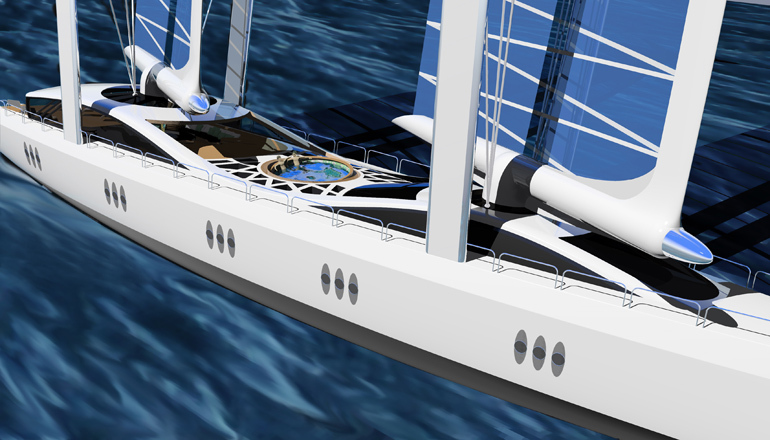 The rigging is designed to appear appealing, almost scuplture-like, when the sails are up or rolled into the boom. The main hull, upper structure, masts and sails of the Green Jet are formed from carbon composite, while the decking is teak with stainless steel fixtures. 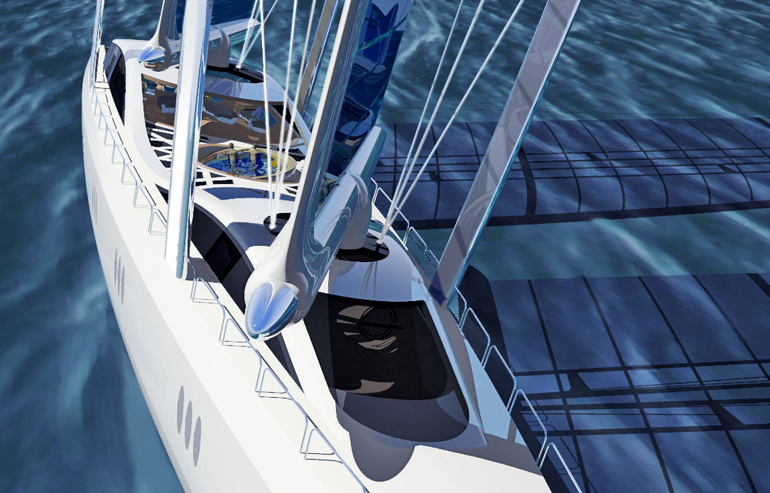 Underwater elements of the Green Jet include a canting keel with 2 foils, twin retractable Z-drive azimuth thrusters for increased maneuverability, twin rudders, and a hidden automated anchor system. 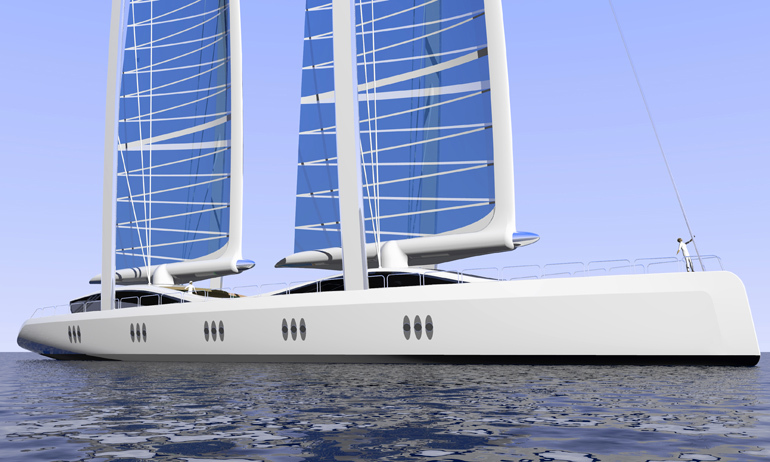 When the sails are not in use the Green Jet can be maneuvered via the twin hydrogen-fueled 1274 horsepower engines.